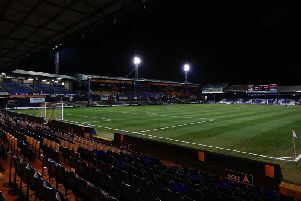 The Luton side that lost 3-1 to Norwich City on Tuesday night won’t be the team that starts in the League One curtain-raiser at Portsmouth in next weekend, manager Nathan Jones admitted. Three goals in the first half did for Town as Grant Hanley, Jordan Rhodes and Teemu Pukki put them to the sword. Luke Gambin netted as the Hatters improved after the break, but with an unused bench full of stars that were regulars in the League Two promotion-winning side last term, it had the feel of an experimental team. Jones said: "I don’t envisage that team being the team that starts, all those players, but there will certainly be one or two that will be in our starting 11. "What we have to do is make sure we’re competitive right throughout. “Now, we’ve been brave against a Championship side and pretty much their first 11, and gone with probably not our first 11 and that quality has probably told in the end. Jones still fielded new centre back signing Sonny Bradley, James Shea who finished the season as first choice keeper, and top scorer last term, Danny Hylton, though he will miss the trip to Fratton Park through suspension. Of the run out against Norwich, Jones said: “We started brightly. The goals have killed us really and then they grew in confidence so we had to change certain things at half time. "It made us a little more solid. You can say we won the second half but it was a better performance in the second half. We looked a little more compact and defended better, which was the pleasing thing. “You could say they were (clinical), but from a set play, just look at the size of players we have. We didn’t defend the first ball, it ricocheted and we’ve not marked the second and they poked it home. “Goals change games, we know that, and we’ve been clinical ourselves in recent years and have seen that. That was the disappointing thing. “In the 90 minutes, their keeper made more saves than ours did, it’s just they scored from a set play and a penalty and then, their third goal, you’d say that was a good goal.